We provide custom skin care treatments that are designed for you. Nufree, a self-preserving antibacterial/antimicrobial, non-wax. Since Nufree ins't a wax, you won't experience the pain associated with waxing. 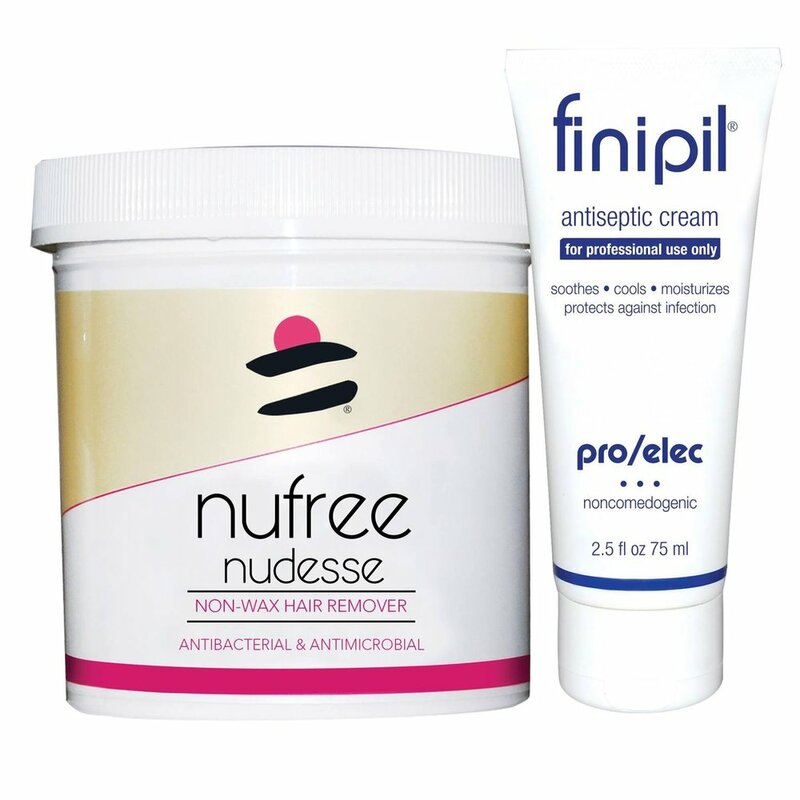 Finipil, an antiseptic lotion that is applied to post hair removal, cools and protects the empty hair follicle between Nufree treatments. Conveniently located in the heart of Downtown Farmington, on the lower level of the Village Mall. When Dermalogica meets skin, skin health is redefined. Pelle Sana offers a wide variety of Dermalogica Skin Care products for purchase. “Megan is AMAZING! She has a knack for detail, very thorough from start to finish. She has a heart of gold, passionate about what she does and you can feel it in how she pampers you! Megan is the best! !” ~ Kelly W.
"Megan DeMarco of Pelle Sana Spa is the best esthetician and skin care specialist around! She takes the time to analyze your skin and she will improve it from the inside out. I am complimented on my skin all the time and it's thanks to her."